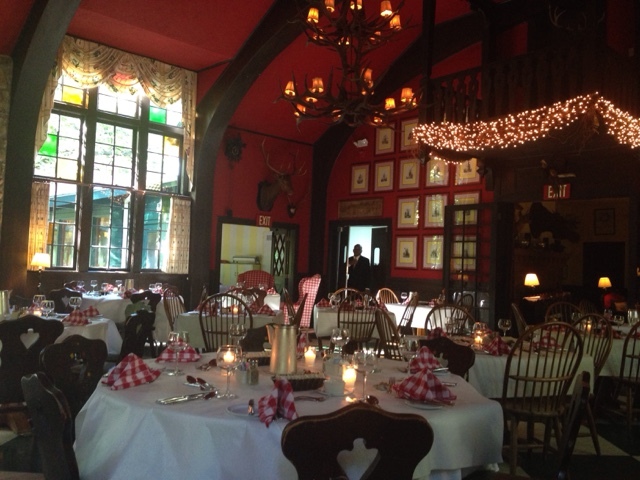 This is our fourth post for Mackinac Island Week! After a day of hiking, we stumbled into this place ready to eat. We had never heard of The Woods, or Stonecliffe before. This is not on the main drag - it is located in the Stonecliffe area. Stonecliffe has lots of condos, and a little community. I would recommend taking a horse carriage taxi there, or going for a bike ride. You can walk it if you'd like to go for about 2 miles from Main St.
We were so pleasantly surprised by this place! The entire place looked like something out of a fairy tale. 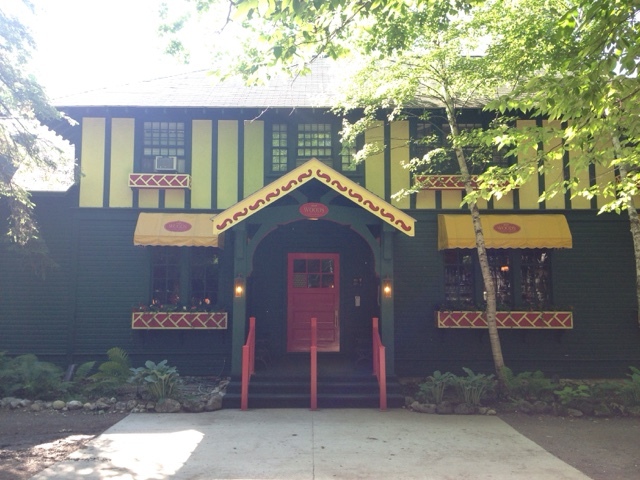 From the details on the exterior, to the stained glass windows, to the Bavarian ski lodge interior, to the tuxedo-wearing staff, this place was amazing. They even had an antique one-lane mini bowling alley. Everyone was so nice! Now, you would normally want to dress up and get reservations to go to this place, but we were lucky since we got there around 4:00. We started off with some bread. I'm a big bread person, and all of this fresh baked artisan bread didn't disappoint! 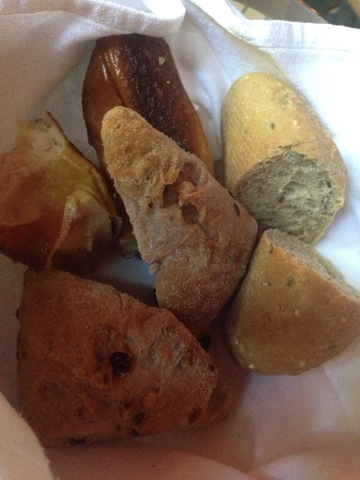 The pretzel bread was the best. 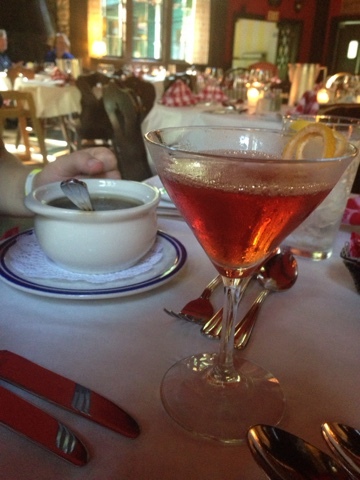 Next up, some beverages and soup. Wonderful! 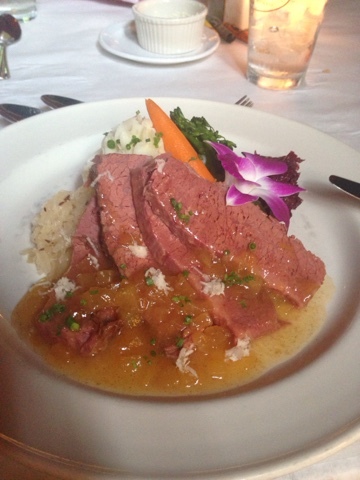 For dinner.... corned beef, mashed potatoes, sour kraut, and apples. It was fantastic and flavorful. 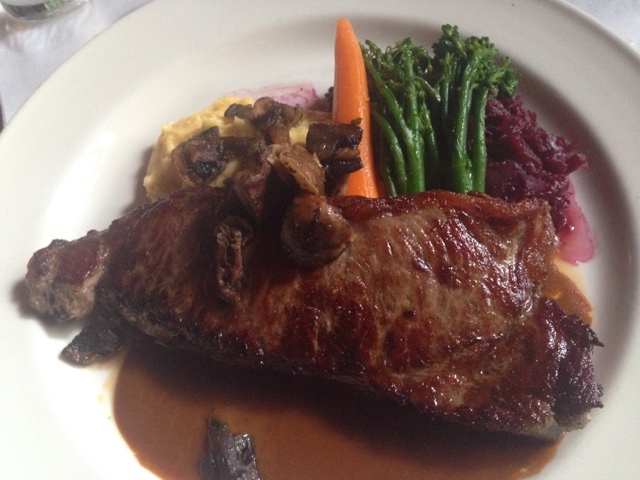 And... a perfectly pan seared steak, mushrooms, broccolini, sour kraut, and mashed rutabaga. Make the trip out to The Woods. 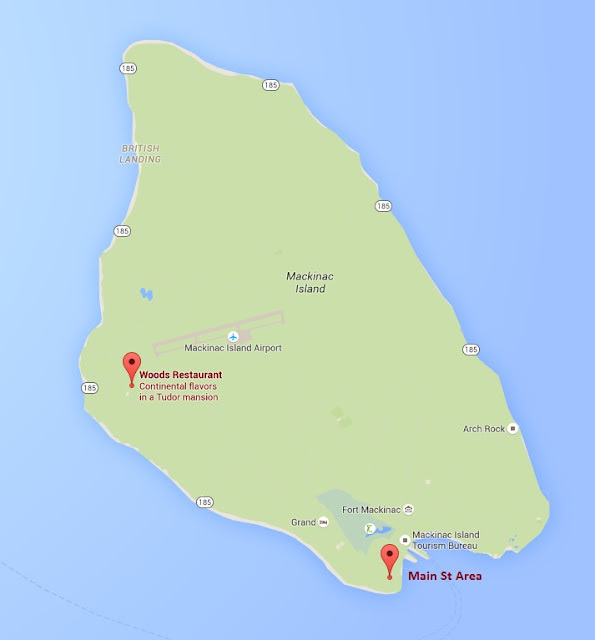 The service and food was simply the best I have ever had on the island. It was beautiful and romantic. It was perfect! We can't wait to go again!